1. 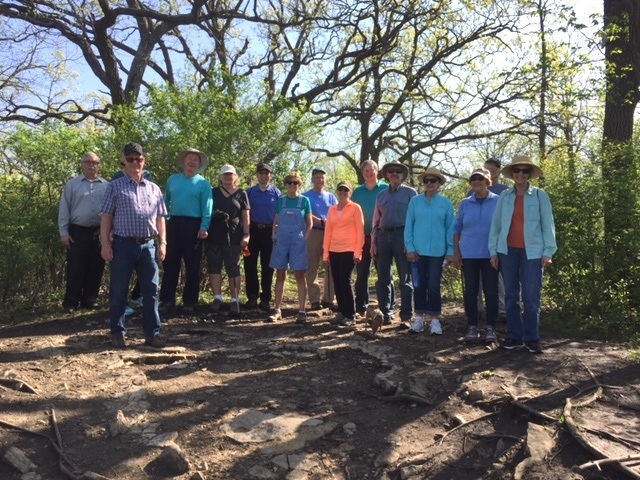 May 8, 9:00 am: Quarry Hill Park, 701 Silver Creek Road NE, Rochester which is accessible from County Road 22 (East Circle Drive), meet at the parking lot by the Nature Center. The Park offers more than eight miles of trails. Paved, grassy and rugged terrain provides a variety of options of trails through meadows, woodland, oak savanna, quarry ruins and overlook of Rochester. Park Info and map. 2. May 15, 9:00 am: Indian Heights Park, 1800 Terracewood Drive NW, Rochester. Meet at the Parking area at the end of Terracewood Drive. Indian Heights Park is a little known gem situated between Assisi Heights to the west and the Zumbro River. Trails wind through woods, oak savanna, around an old quarry and offers a hilltop overlook of the city of Rochester. The name “Indian Heights” was coined by pioneers who recognized this as an Indian burial ground in the 1800’s. The trail leader will talk about the Indian and Pioneer history of the area. Park info and map. 3. May 22 9:00 am: Essex Park, 5455 West River Road NW, Rochester. Meet at the main parking lot by the picnic pavilion. The entrance to the park has changed due to the 55th street expansion that is now complete but online mapping may not be accurate. Essex Park, located on the north edge of Rochester, has many trails that loop through prairie, woods and meadows providing a great opportunity to enjoy nature and the outdoors. Some trails are paved, others are grass or dirt trails (the park map shows trails as winter ski trails but can be used for hiking spring through fall). Park map. 4. May 29 9:00 am: Oxbow County Park, 5731 County Rd 105 NW, Byron. Meet at the main parking lot by the Nature Center and Zoo. Oxbow Park, consisting of 572 acres, offers a great variety of hiking trails that wind through a landscape of wooded hills and meadows. The walk/hike will take about 1 ½ hours. Park Info and Trail map. 5. June 5 9:00 am: Root River County Park, 4012 80th St SE Rochester, MN 55904. The 90+ acres of Root River Park offer many secluded areas to hike. A 2 mile looped hiking trail winds through the meadows and wooded hills along Root River providing visitors with a variety of op-tions of beauty and natural history. Great scenery with towering lime-stone bluffs along the Root River. A section of the trail is on a1800’s wagon trail used by early settlers. Park Info and map.